Blockdaemon, a blockchain platform that provides easy deployment, connection, and management of nodes for blockchain-based projects, has introduced a new suite of services for two major players in the blockchain sphere: Stellar and Quorum. 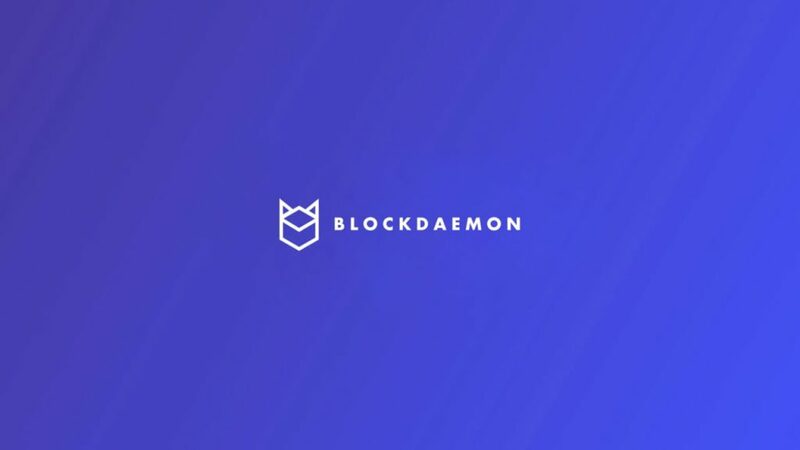 Blockdaemon has gained prominence within the burgeoning blockchain industry as a nodes-as-service provider. As more projects realize the power of blockchain to render systems more efficient, secure, and transparent, the demand for service providers to support this growing ecosystem continues to swell. Blockchain-based networks depend on nodes to validate transactions and complete other tasks essential for maintaining the health of the ecosystem. The process of developing and “spinning up” nodes in a network can be costly from a resource and time standpoint; Blockdaemon addresses this challenge by allowing projects to deploy nodes and connect them to blockchains within minutes and at lower costs. By adding support for Quorum and Stellar, Blockdaemon is now the only deployment tool covering a wide range of protocols, including Ethereum and Bitcoin. The Stellar network is a distributed, hybrid blockchain that is fully open-source. Its infrastructure facilitates cross-asset transfers of value and provides an instant clearing, settlement, and execution platform, enabling money to move directly across borders as easily as email. Stellar’s native digital currency, lumens (XLM), may soon be supported by leading crypto marketplace, Coinbase. Blockdaemon is supporting the full range of Stellar’s functionality, including Bifrost, which allows for the token sales on Stellar to accept bitcoin and ethereum seamlessly. With this service offering, Blockdaemon will be able to host and support the many utility and security token sales taking place on the Stellar network. Blockdaemon will be supporting Quorum, an open-sourced variant of the Ethereum blockchain, developed by J.P. Morgan to spin up nodes for enterprise projects. Quorum is an enterprise-ready distributed ledger and smart contract platform that provides increasing efficiency and security to the processing of private financial transactions within a permissioned group of known participants. For the first deployment, Blockdaemon will be supporting G-Coin™, Emergent Technology Holdings LP’s digital token that is backed one-to-one by conflict-free gold. Stellar.org is a Silicon Valley based nonprofit organization that supports the Stellar network, a free, open-source network that connects diverse financial systems and lets anyone build low-cost financial services—payments, savings, loans, insurance—for their community. The Stellar network enables money to move directly between people, companies and financial institutions as easily as email. This interconnectivity means more access for individuals, lower costs for banks, and more revenue for businesses. For more on Stellar, visit http://www.stellar.org. J.P. Morgan’s Corporate & Investment Bank is a global leader across banking, markets and investor services. The world’s most important corporations, governments and institutions entrust us with their business in more than 100 countries. With $24 trillion of assets under custody and $433 billion in deposits, the Corporate & Investment Bank provides strategic advice, raises capital, manages risk and extends liquidity in markets around the world. Further information about J.P. Morgan is available at http://www.jpmorgan.com. Based in Santa Clara, California, Emergent Technology Holdings LP owns and operates Emergent Payments®, the Responsible Gold™ platform and G-Coin™. The company operates in more than 60 high-growth markets across Asia-Pacific, Latin America, the Middle East and Africa. The company will launch G-Coin and the Responsible Gold Supply Chain Application in Q3 2018. The blockchain technology and smart contract platform traces responsibly sourced gold from mine, to refinery, to vault, and then digitizes that gold into secure G-Coin tokens for trade around the world. For more information, visit http://www.gcoin.com.